THOUGHTS ON HOSANNA: HOSANNA is a word that we often hear in worship services, for it is frequently used in the lyrics of great old hymns and modern worship songs. Most of us have probably sung the words of Theodulf’s beautiful hymn during a Palm Sunday service: “All glory, laud, and honor, To Thee, Redeemer, King, To Whom the lips of children, Make sweet Hosannas ring.” Indeed, Hosanna is a word we should sing often and loudly, singing “Hosanna’s in the highest” to our Redeemer and King, Christ Jesus. But do we always understand what we are singing? In an informal survey of a number of saints, I was surprised to find that not one knew the meaning of the Hosanna’s they were singing. The English word “Hosanna” is actually a Hebrew phrase transliterated into NT Greek and English as “hosanna”, much like the Hebrew words “Amen” and “Hallelujah.” Hosanna is derived from two Hebrew words “hoshiya na” a combination found only in Ps 118:25-note where it is translated as “Save now” (KJV). 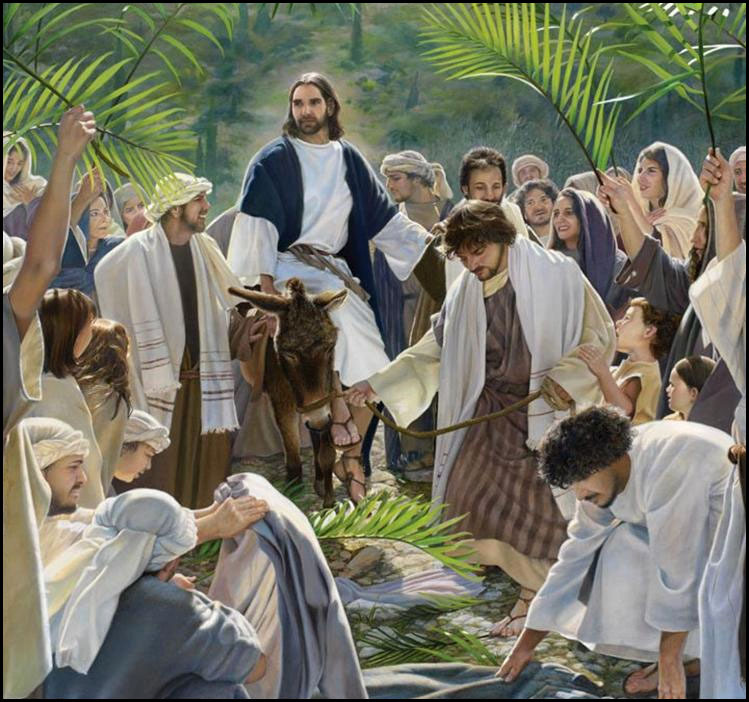 It is significant that all 6 NT uses (Mt 21:9-twice-note, Mt 21:15-note, Mk 11:9,10-note, Jn 12:13-note) of Hosanna are associated with one event – the “Triumphal Entry” of Jesus into Jerusalem on Palm Sunday, an event so significant that it is recorded in all 4 Gospels (although Luke does not actually use “Hosanna”). About 500 years earlier, Zechariah had prophesied of this great day writing “Rejoice greatly, O daughter of Zion! Shout in triumph, O daughter of Jerusalem! Behold, your King is coming to you. He is just and endowed with salvation, humble, and mounted on a donkey, even on a colt, the foal of a donkey.” (Zechariah 9:9-note) And indeed on the day that prophecy was fulfilled, the crowds did “Rejoice greatly” and “Shout in triumph” as the King rode into Jerusalem to loud “Hosanna’s” and cries of “Blessed is He that comes in the name of the Lord” (Quoting Ps 118:26-note), as they exuberantly waved palm branches. That was “Palm Sunday,” but by “Good Friday” their joyous shouts of “Hosanna” had turned to angry cries of “Crucify, crucify” (Luke 23:21-note) for they realized Jesus’ purpose was not to save them from Roman oppression. They like so many had failed to connect the Old Testament “prophetic dots” that clearly taught the Messiah must first come and be sacrificed as the Passover Lamb to take away the sins of the world (Read Jn 1:28-note, Ge 22:8-note, Ge 22:13-14-note, Ex 12:21-23-note, 1Cor 5:7-note, Isa 53:1-6-note Isa 53:7-8-note, 1Pe 1:18-19-note, Rev 5:6-note) and consequently they rejected Him as their King. And yet on the Cross, God made certain to ascribe the title of “King of the Jews” to Jesus, looking forward to the glorious day when He will return riding on a “white horse” (Rev 19:11-note) in His second “Triumphal Entry” as the victorious King of kings and Lord of lords (Rev 19:16-note, when all His children (Jn 1:12-note, 1Jn 3:1-note) will shout “Hosanna to the Son of David. Blessed is He Who comes in the Name of the Lord! Hosanna in the highest!” Indeed, John describes “a great multitude, which no one could count, from every nation and all tribes and peoples and tongues, standing before the throne and before the Lamb, clothed in white robes, and PALM BRANCHES were in their hands; and they cry out with a loud voice, saying, “Salvation to our God who sits on the throne, and to the Lamb.” (Rev 7:9-10-note) Maranatha (Our Lord, come!) (1Cor 16:22-note). John Piper explains that over the centuries “something happened to that OT phrase, “hoshiya na” (hosanna). The phrase stopped being a cry for help in the ordinary language of the Jews. Instead it became a shout of hope and exultation. It used to mean, “Save, please!” But gradually, it came to mean, “Salvation! Salvation! 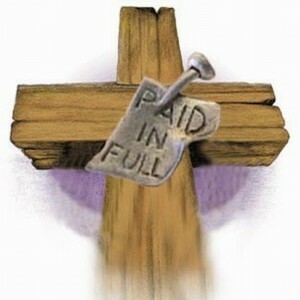 Salvation has come!” It used to be what you would say when you fell off the diving board. But it came to be what you would say when you see the lifeguard coming to save you! It is the bubbling over of a heart that sees hope and joy and salvation on the way and can’t keep it in….The word moved from plea to praise; from cry to confidence. So when we sing “Hosanna” now, let’s make it very personal. Let’s make it our praise and our confidence. The Son of David has come. He has saved us from guilt and fear and hopelessness. Salvation! Salvation belongs to our God and to the Son! Hosanna! Hosanna in the highest!” (Mt 21:9-note, Mk 11:10-note). H— Heart. Real worship must bubble up from a sincere heart. O— Offering. Worship should be rendered sacrificially as an offering. The Bible talks about the sacrifice of praise. S— Singing. Worship in the Bible was often accompanied by song. A— Appreciation. Real worship involves thanksgiving and gratitude. N— Now. Every moment of life is an opportunity for praise. N— New. The Bible tells us to sing to the Lord a new song. This means that our worship should always be fresh. Every time we sing to Him, it should be as though we were singing that song for the first time. A— Adoration. Only those who are in deepest love with Jesus can richly worship Him. What denomination and/or what Church?